In 2015, a campaign began in Congress (as well as at the state level) to hijack concerns about BDS against Israel in order to pass legislation giving unprecedented legitimacy and recognition to Israeli settlements by, in effect, making it U.S. policy to treat them as part of Israel. These efforts continue through the present day. This table -- which will be updated regularly -- is intended to help people understand and follow what is happening in Congress. 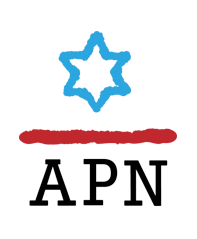 APN rejects this cynical effort to exploit concerns about BDS in order to erase the distinction between Israel and the occupied territories. This conflation flies in the face of nearly 5 decades of unbroken U.S. policy opposing settlements. Since 1967, every president, regardless of party, has maintained this policy. And until recently, every Congress, regardless of which party was in control, supported this policy, including in law (e.g., legislation barring Israel from using U.S. loan guarantees in areas occupied in 1967). Indeed, never before in the history of the Israeli-Palestinian conflict, until now, has there been any serious effort to legislate U.S. support for settlements. This conflation threatens the possibility of a two-state solution to the Israeli-Palestinian conflict. Despite U.S. opposition, successive Israeli governments have continued to build in settlements for decades, eroding both the credibility and the viability of the two-state solution. Legislating support for settlements at the State or Federal level can only encourage further construction, undermining the chances for ever resolving this conflict. This conflation contradicts all U.S. commitments to negotiations as the only means of resolving the Israeli-Palestinian conflict. By granting “legitimacy” to settlements, these laws seek to impose specific elements of a solution on the parties, outside of negotiations. The future of the occupied territories – and the settlements Israel has built in them – will be determined through negotiations, not by unilateral actions by either side, nor by actions at the United Nations or by the international community, nor by acts of Congress or state legislatures. Those who adopt this conflation are, deliberately or unwittingly, playing into the hands of BDS, rather than fighting it. They are making common cause with and fueling hardliners and zealots on both sides, including in the BDS movement, who likewise fail to distinguish between Israel and the occupied territories. They seek, instead, a zero-sum goal of one nation, be it Israel or Palestine, extending from the Jordan River to the Mediterranean Sea. This conflation further discredits America and American leadership in the Middle East arena – an arena in which even Israel’s closest allies– countries that have not adopted anything even resembling BDS against Israel – have run out of patience with Israeli leaders who talk about supporting two states but keep building settlements. This conflation pointlessly puts the U.S. on a collision course with its own allies. It does so not for the sake of supporting and defending Israel, but for the sake of defending settlements – settlements built in defiance of almost 50 years of U.S. policy and settlements which the Israeli government continues to build, in contradiction to a genuine commitment to achieving a negotiated two-state solution to the Israeli-Palestinian conflict. This conflation represents an extraordinary twisting of reality. Israel and the settlements are not the same thing. Legislators would do well to note that Israel has never annexed the West Bank, meaning that under Israeli law, the West Bank is not considered part of Israel, and under international law and Israeli court decisions the West Bank is deemed as being held in a state of belligerent military occupation. Distinguishing between Israel and settlements is neither discrimination against nor unfair treatment of Israel. Rather, it reflects this objective reality, and is both pro-Israel and pro-peace. This is true whether talking about the new EU interpretive notice relating to settlement products, or longstanding U.S. Customs rules, or the longstanding policy of Congress that U.S. aid cannot be used in the settlements.